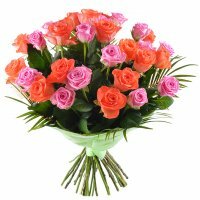 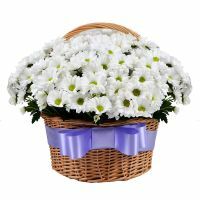 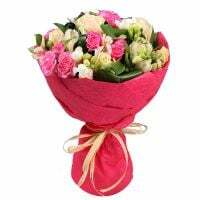 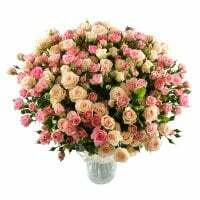 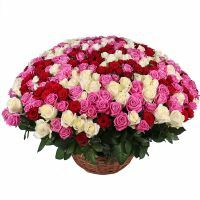 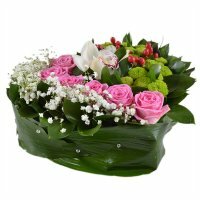 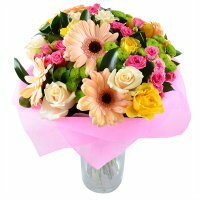 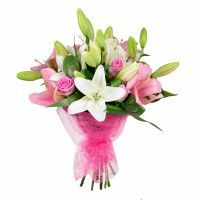 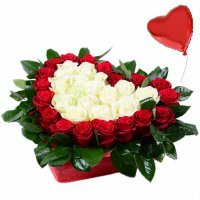 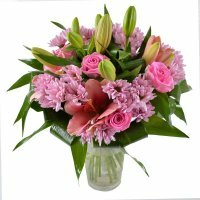 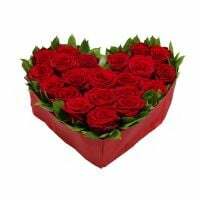 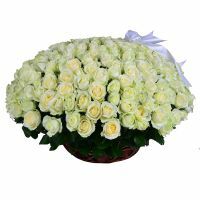 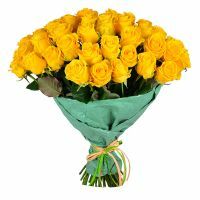 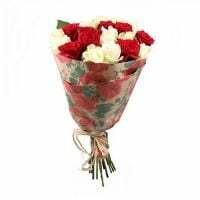 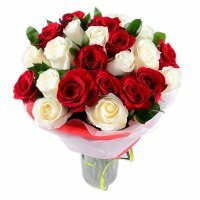 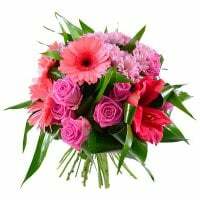 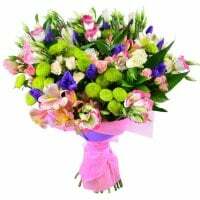 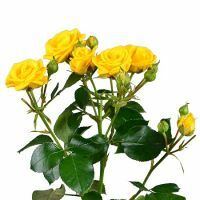 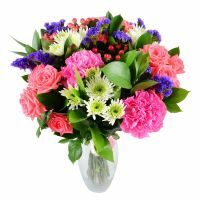 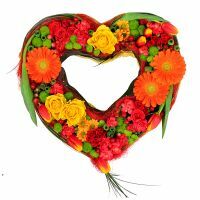 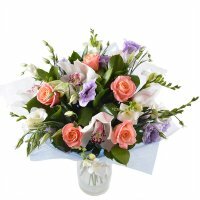 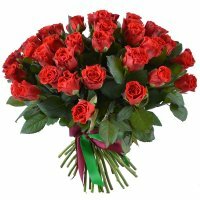 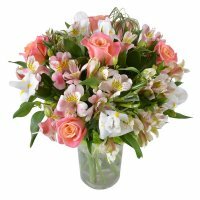 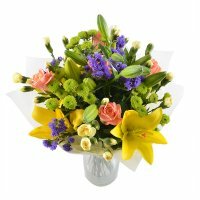 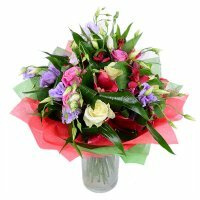 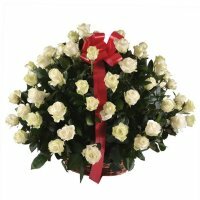 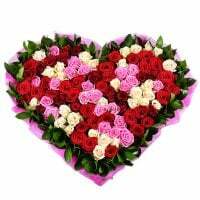 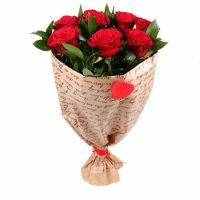 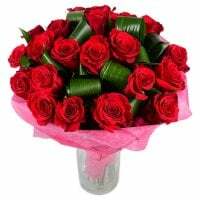 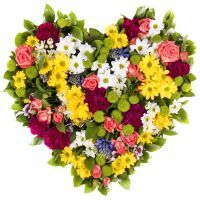 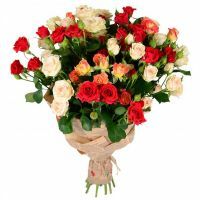 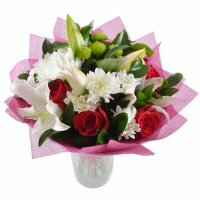 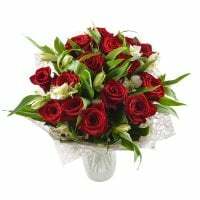 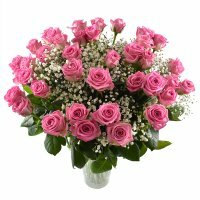 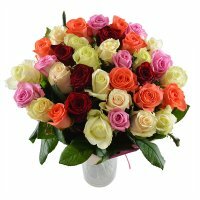 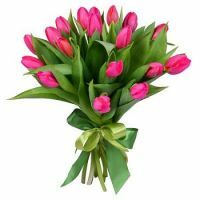 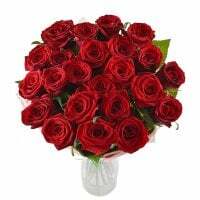 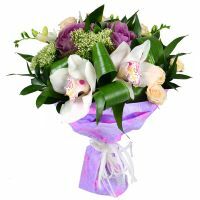 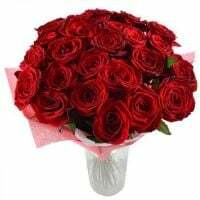 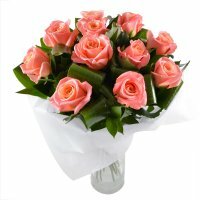 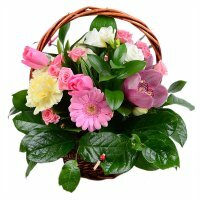 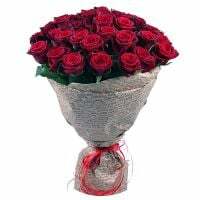 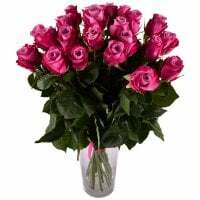 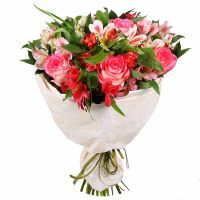 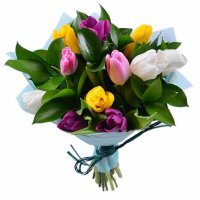 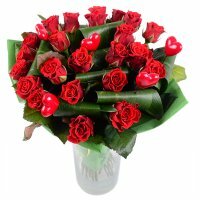 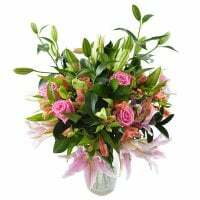 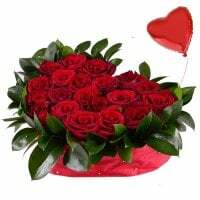 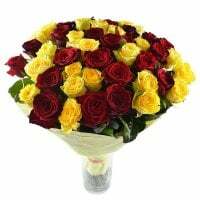 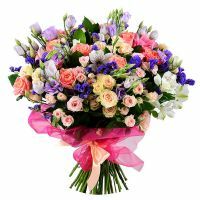 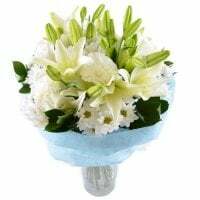 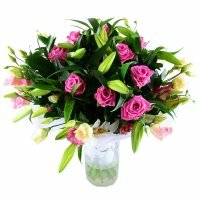 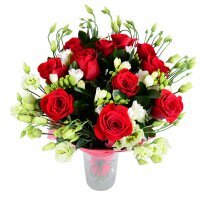 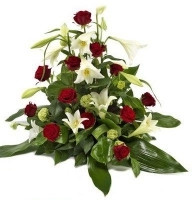 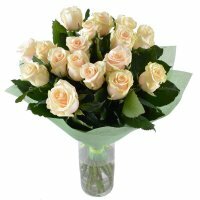 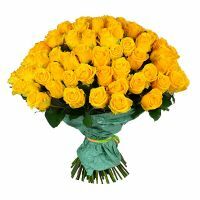 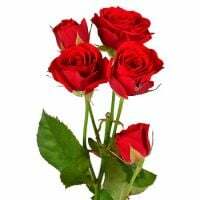 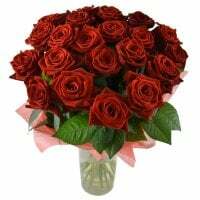 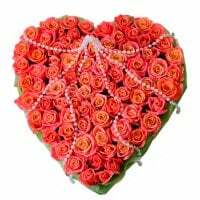 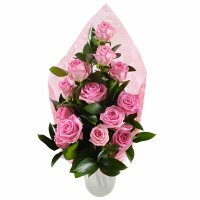 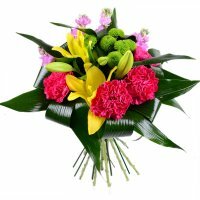 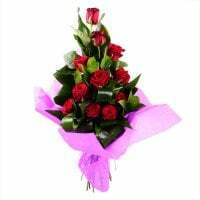 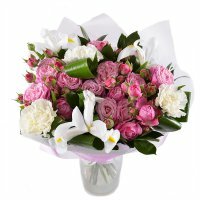 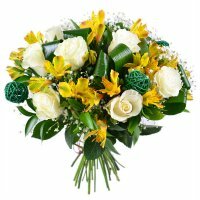 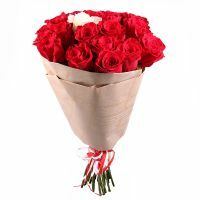 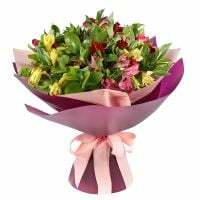 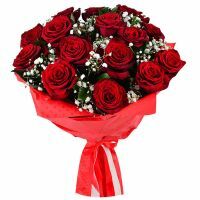 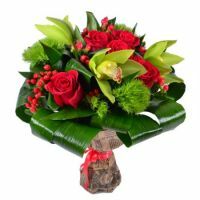 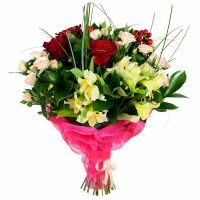 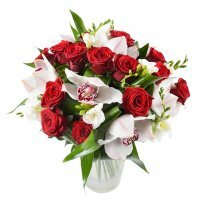 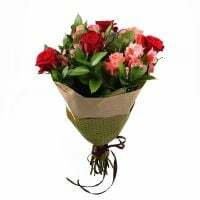 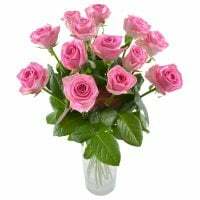 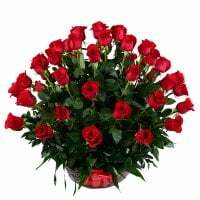 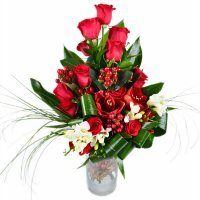 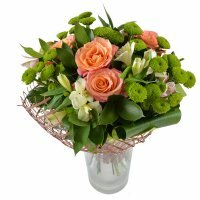 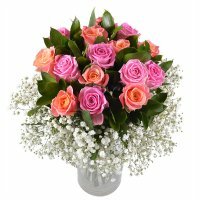 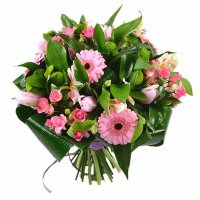 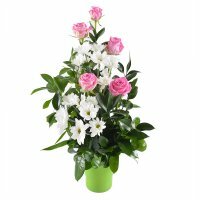 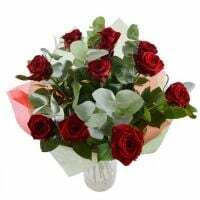 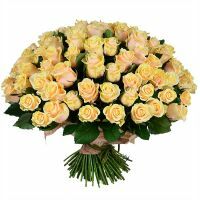 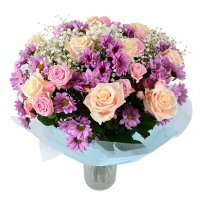 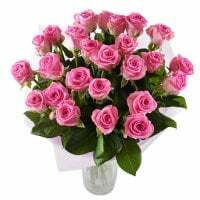 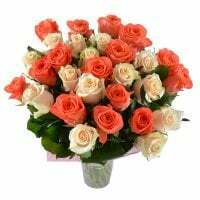 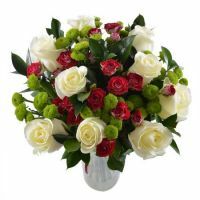 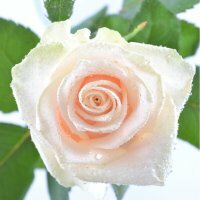 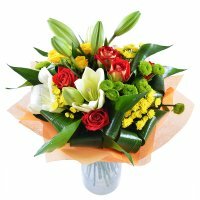 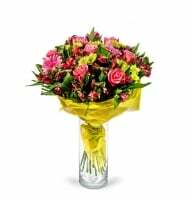 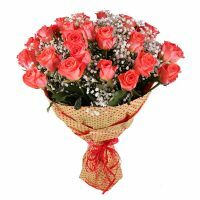 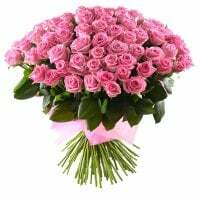 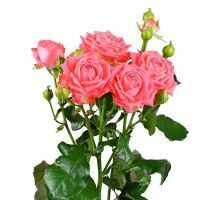 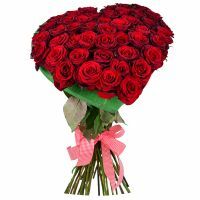 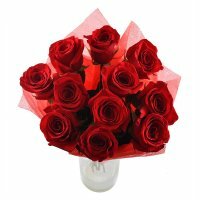 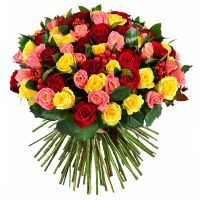 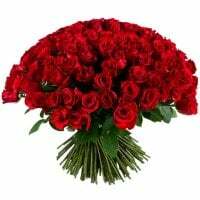 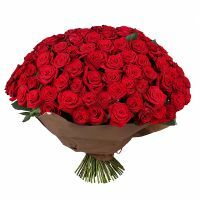 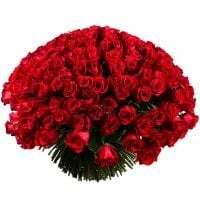 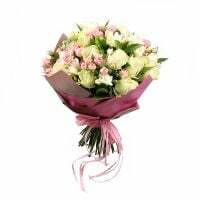 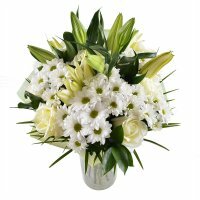 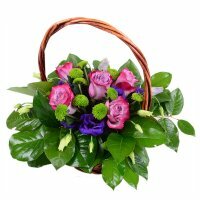 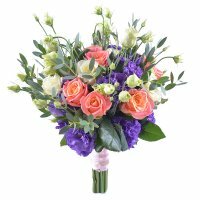 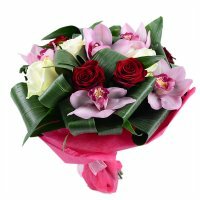 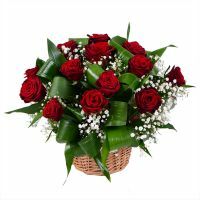 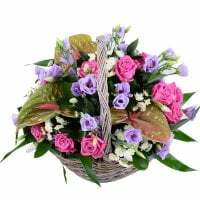 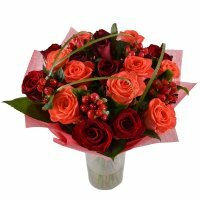 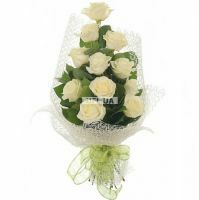 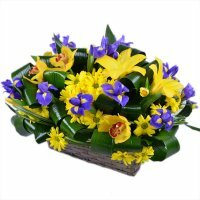 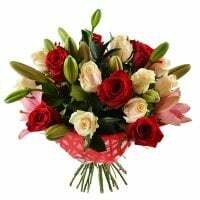 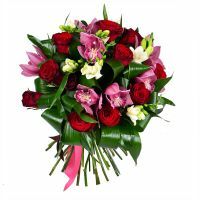 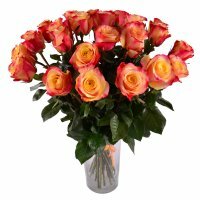 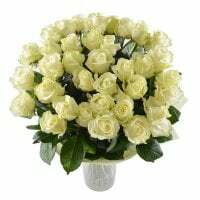 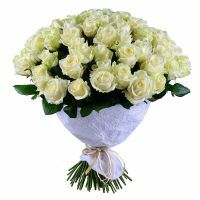 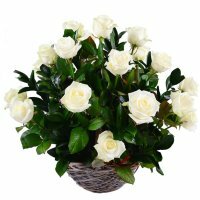 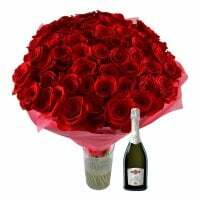 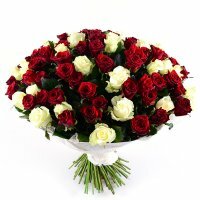 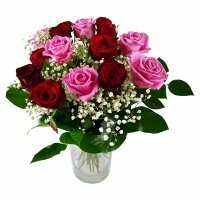 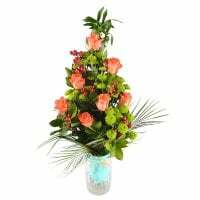 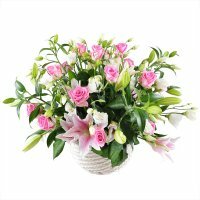 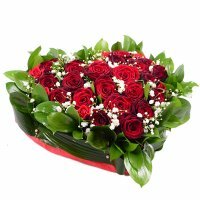 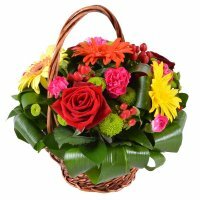 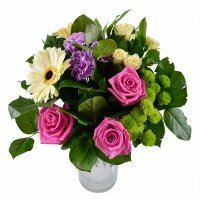 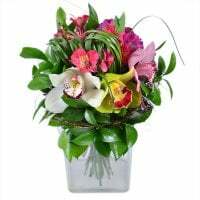 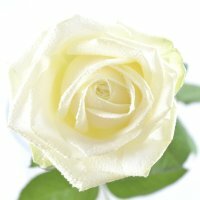 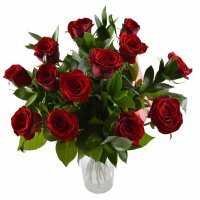 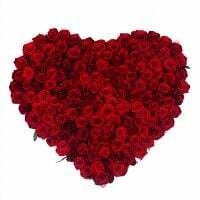 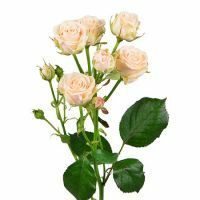 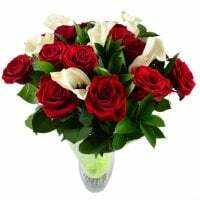 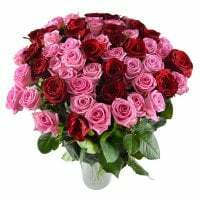 The internet-shop RU-Flowers.com offers composed bouquets and ready arrangements for everyone who wants to congratulate his loved ones. 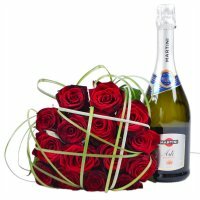 If you desire to impress your dear woman, our team has collected the best gift ideas for order. 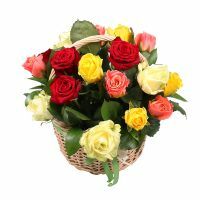 If you have decided to choose a bouquet for your woman, note that it is very important to take in consideration her personal preferences. 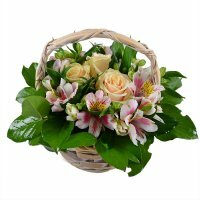 Ideally, it will be wonderful to offer her an arrangement about what is she dreaming of. 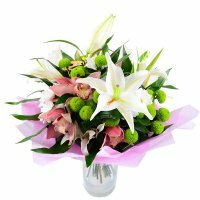 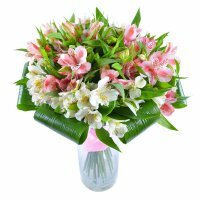 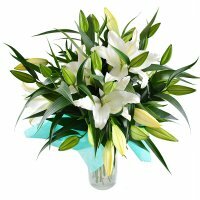 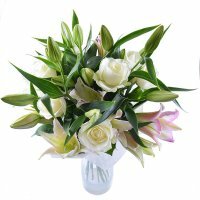 - Lilies, suitable for romantic ladies who love to dream. 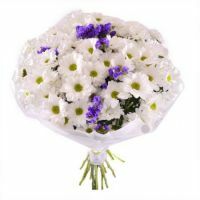 These flowers symbolize youth and tenderness. 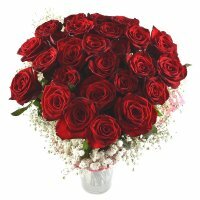 - Roses. 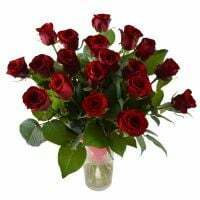 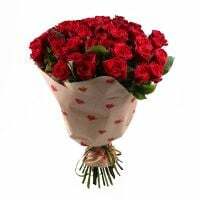 Offer a bouquet of roses for your woman and you will not regret it. 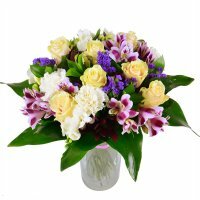 These blooms represent sincerity, admiration and interest. 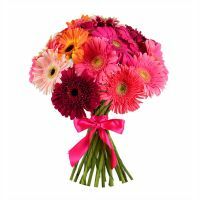 - Gerberas. 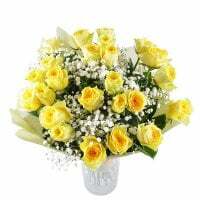 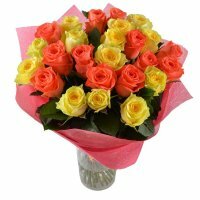 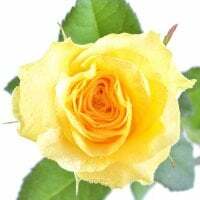 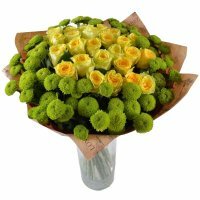 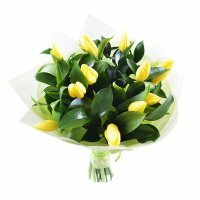 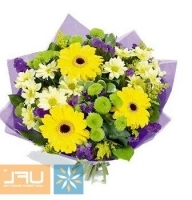 These sunny flowers are a known symbol of positivity and easiness. 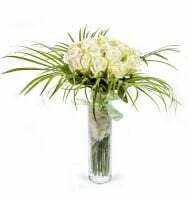 - Carnations. 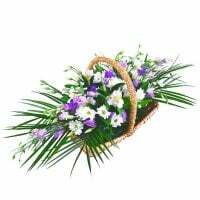 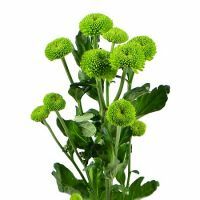 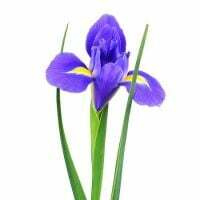 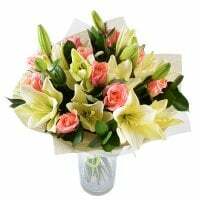 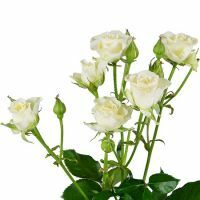 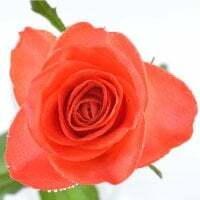 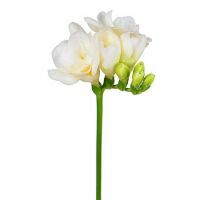 We advise you to check her attitude to these blooms, because not all girls love these classic plants, which are often appropriated to official festive celebrations. 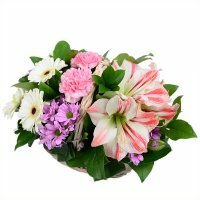 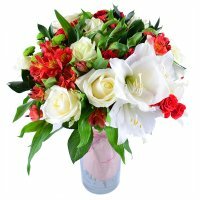 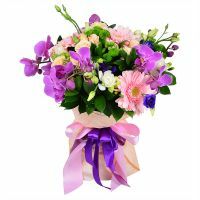 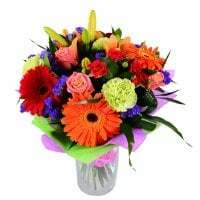 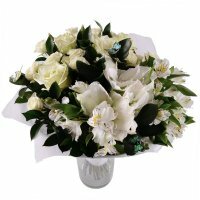 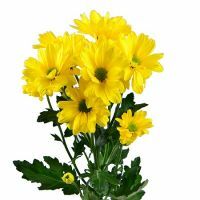 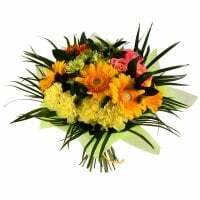 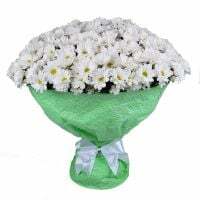 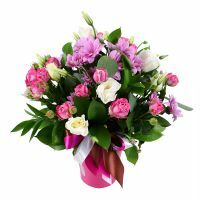 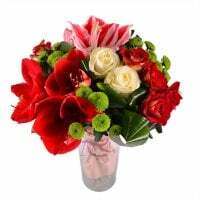 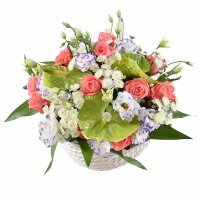 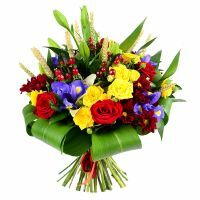 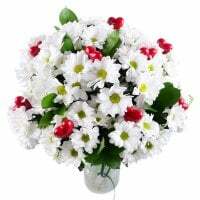 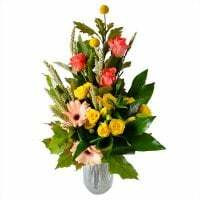 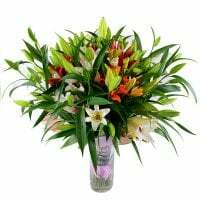 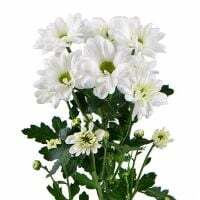 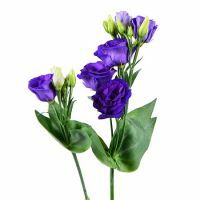 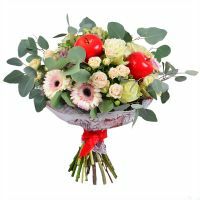 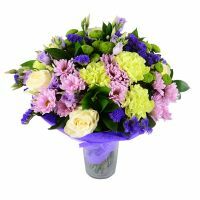 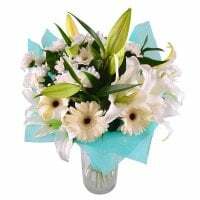 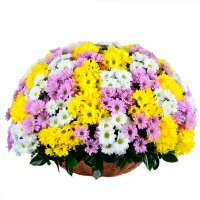 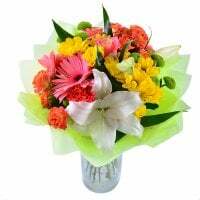 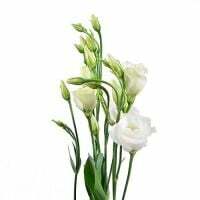 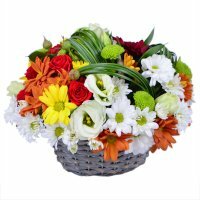 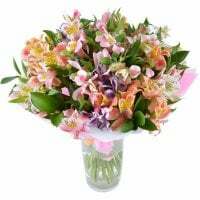 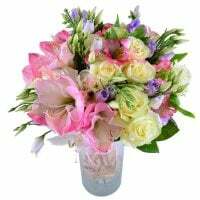 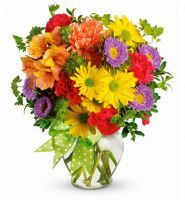 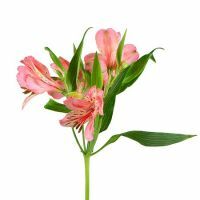 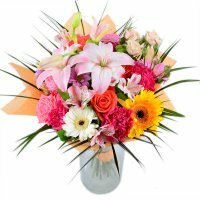 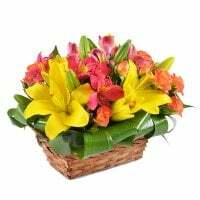 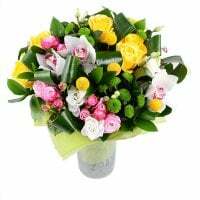 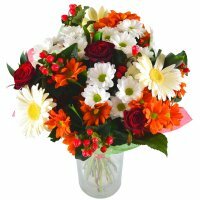 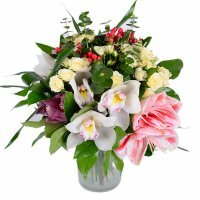 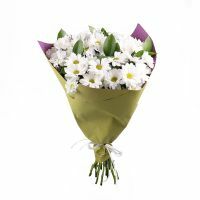 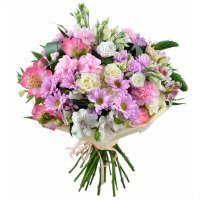 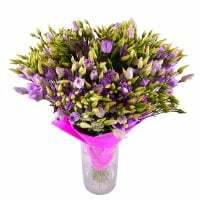 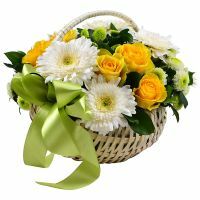 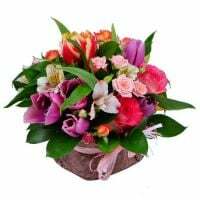 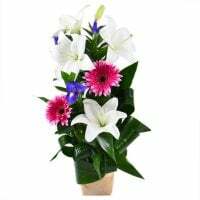 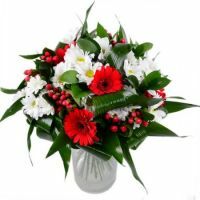 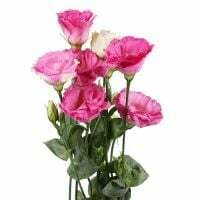 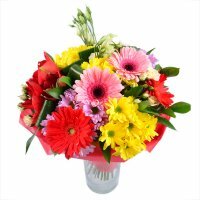 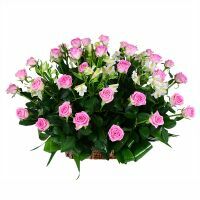 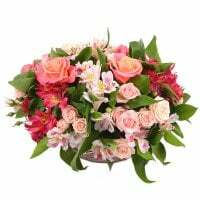 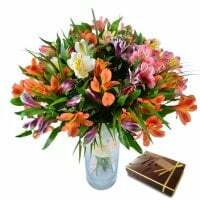 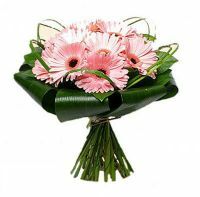 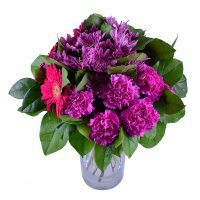 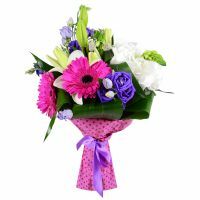 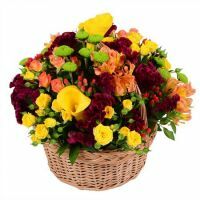 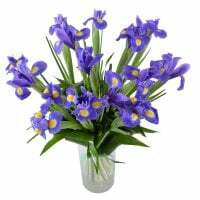 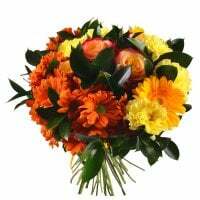 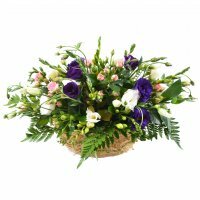 In addition, the RU-Flowers.com shop offers many other interesting bouquets, which are composed with daisies, irises, alstroemerias and chrysanthemums. 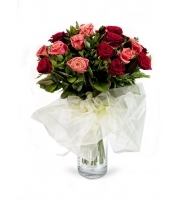 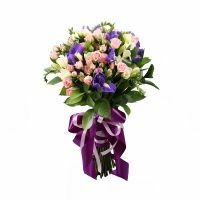 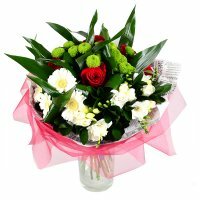 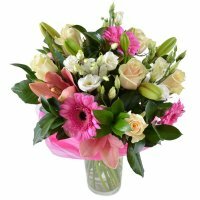 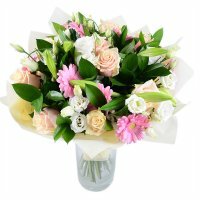 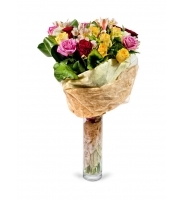 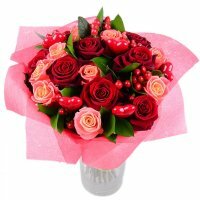 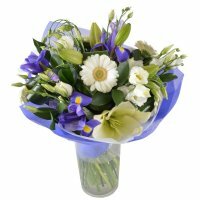 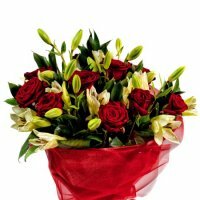 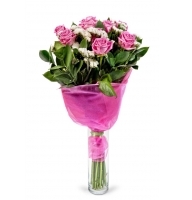 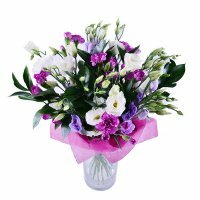 Our florists can create any bouquet that will suit your wish. 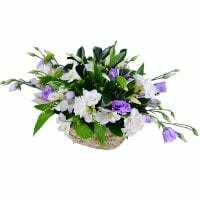 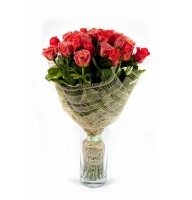 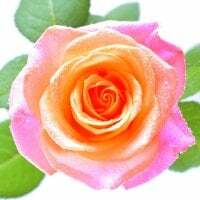 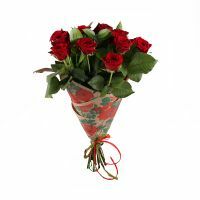 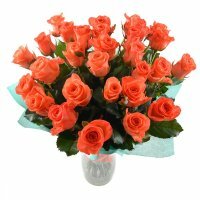 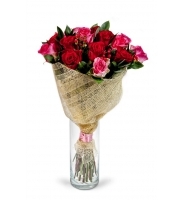 Such a present will surely delight everyone with its brilliant look and fragrant aroma. 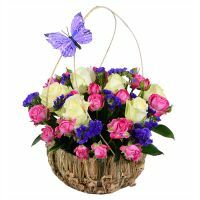 Moreover, there is also a possibility to order pleasant gifts in our collection. 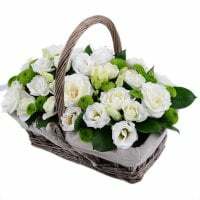 Choose there from boxes filled with chocolates, fluffy toys, exotic fruit arrangements, gift basket and many other interesting souvenirs. 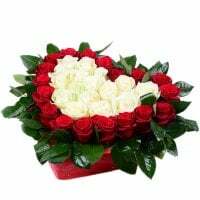 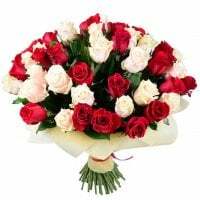 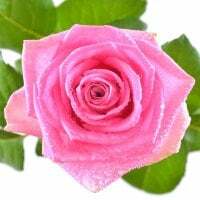 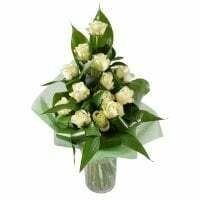 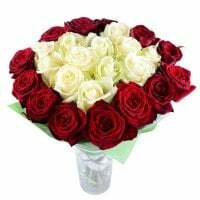 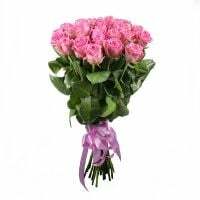 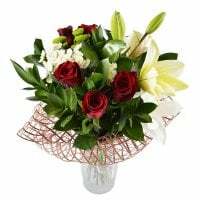 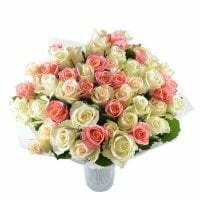 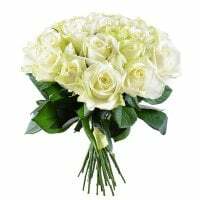 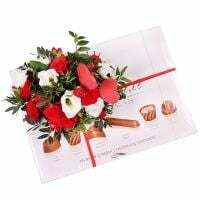 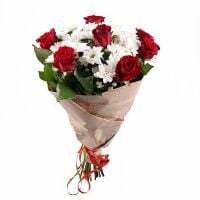 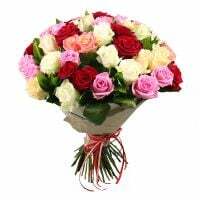 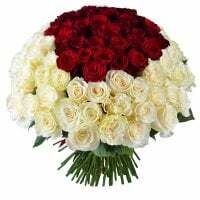 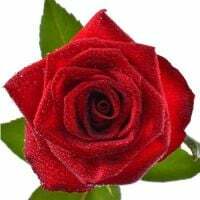 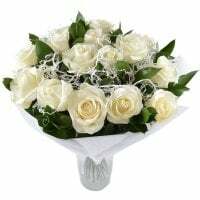 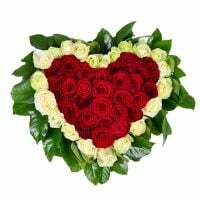 Contact us directly if you have already chosen a bouquet, our team will do everything that your present will impress your beloved woman and leave unforgettable memories in her heart for a very long time.